Matthew Jacobson. Introduction by William Astore. NATIVE PEOPLES You are already here. 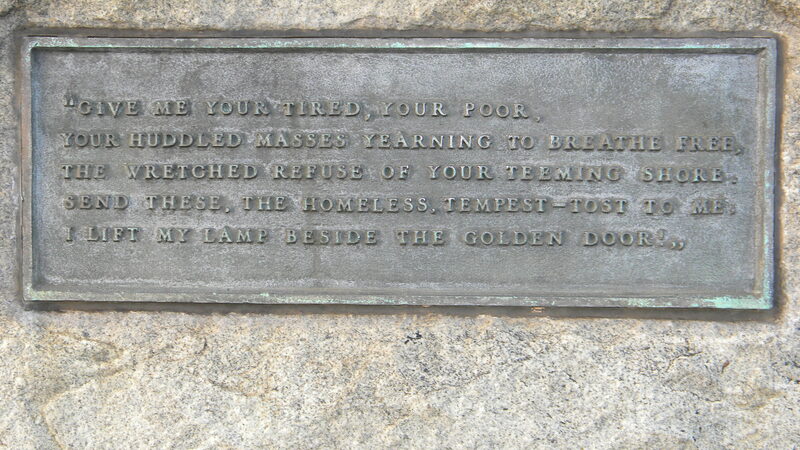 Welcome us immigrants. We bring peace, but not for long. AFRICANS Come to the colonies! Free transportation! Permanent jobs! Permanent shelter! CATHOLICS We don’t want you. Stay away. Your religion is not the right religion, and our religion is the right religion. We will make your lives miserable until you go back to wherever you came from. IRISH We don’t want you. Stay away. You don’t even speak English. Your language is weird. It sounds so weird it is probably not even a language, just a bunch of grunts and coughs. And you are CATHOLIC. We will make your lives miserable until you go back to wherever you came from. CHINESE We don’t want you. Stay away. You don’t speak English, and your language is REALLY weird. How can anybody talk in pictures? That makes no sense. You don’t even have a religion. You eat really weird stuff that stinks. We will make your lives miserable until you go back to wherever you came from. JEWS We don’t want you. Stay away. Your religion is REALLY the wrong religion. Your holidays are completely screwed up. You speak weird AND you dress weird too. We will make your lives miserable until you go back to wherever you came from. ITALIANS We don’t want you. Stay away. You are Catholic. You don’t speak English. Your food smells. A lot of you are sort of brownish. We will make your lives miserable until you go back to wherever you came from. SOUTH OF THE BORDERERS We don’t want you. Stay away. You don’t speak English. You are brown. We will shoot you if you try to get into our country. If you make it past the guns, or crawl like rats in tunnels to get into our country, we will make your lives miserable until you go back to wherever you came from. We Americans sent out a message loud and clear to Catholics and Irish and Chinese and Italians and Jews and South of the Borderers. Somehow they didn’t get the message, and they didn’t stay away, and they survived, even if we kept our word and made their lives miserable. How has the United States of America become the number one nation in the world with all of these Native Americans, Africans, Catholics, Irish, Chinese, Jews, Italians, and South of the Borderers living with all of us who are not Native Americans, African, Catholic, Irish, Chinese, Jewish, Italian or South of the Borderers? Someone has got to explain that to me. Matthew Jacobson is a lifelong student of the history of American politics. ← How Do You Feel About Death? WOMEN: We want you, we need you but remember you are are here through our good grace only to bear our children.and cook our meals. Please don’t forget that. ( and keep the house clean). POOR PEOPLE: We don’t want you, but we need you, at least to do all the dirty work we don’t want to do. And when you can’t make a living wage? You’d best die to decrease the surplus population. Bonus: No health care to get in the way of dying! Yes, how indeed did USA get to be Number One Nation…in incarceration rate? ; in gun-craziness? ; in arms exportation to rest of the world? ; in ginning up wars of choice, not self-defense? ; in flat-out hypocrisy? ; in pollution of the planet per-capita? ; in consumption of “illicit” drugs? [Okay, that last item is a guess, I don’t have stats in front of me, but seems plausible.] Somehow, none of this makes me swell with pride to be a citizen here.